Contrary to the poor reputation it attracted, the Blue 2 is rather fast and exciting to helm. A short career for this catamaran which was however born under the best auspices...but which remains a comfortable, rather fun boat under sail, even though second-hand you will without a doubt have to plan on a bit of DIY. 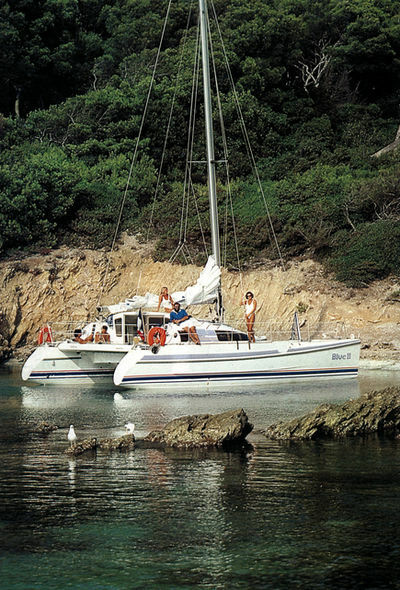 The first (and only) catamaran from Beneteau can prove to be a good second-hand deal. A good boat for family cruising.